Writing begins before students even pick up a pencil, but there are many reasons to stop and rejoice between the idea and the finished project. By helping students celebrate each stage of the writing process and applauding success, we help our students persevere through what can be an extended and challenging process. In their innovative new book, Celebrating Writers, Ruth Ayres and Christi Overman discuss dozens of ways to respond, reflect, and rejoice along the journey to a finished project. This type of celebration nurtures students, makes them better writers, and helps them recognize that writing is a process filled with notable moments, not simply a result where publication is the only marker of success. 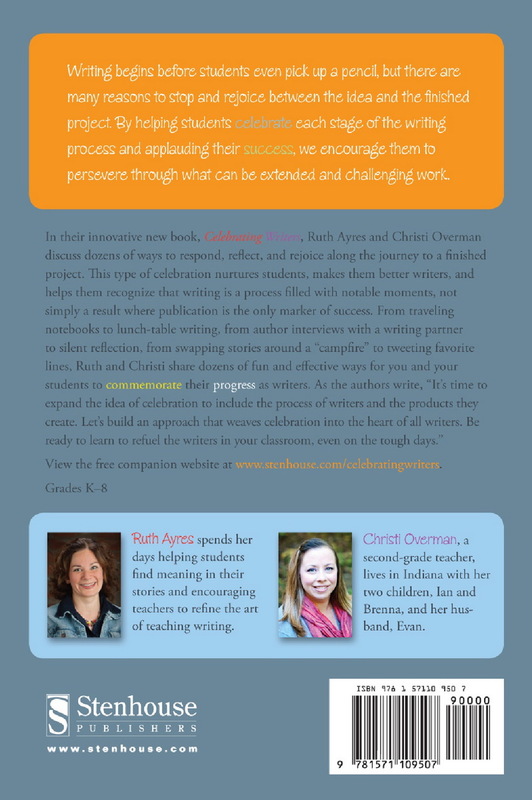 From traveling notebooks to lunch-table writing, from author interviews with a writing partner to silent reflection, from swapping stories around a "campfire" to tweeting favorite lines, Ruth and Christi share dozens of fun and effective ways for you and your students to commemorate their progress as writers. 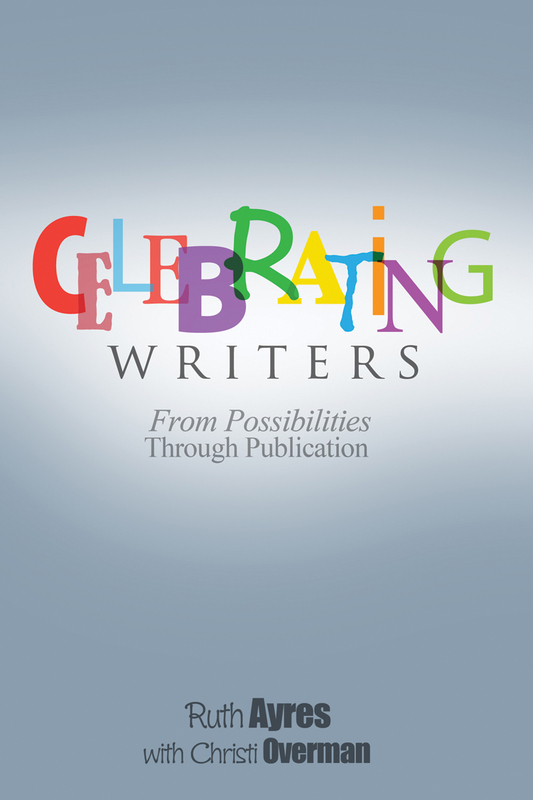 As the authors write, "It's time to expand the idea of celebration to include the process of writers and the products they create. Let's build an approach that weaves celebration into the heart of all writers. Be ready to learn to refuel the writers in your classroom, even on the tough days." As a full-time writing coach for Wawasee School District in northern Indiana, Ruth spends her days helping students find meaning in their stories, and encouraging teachers to reflect and refine the art of teaching. "I love documenting ordinary stories from everyday life," Ruth says.